(VEN) - Apart from the baking of the community and local authorities, international support is necessary in helping Quang Nam Province protect and make the most of its cultural heritage, particularly the My Son temple area and the Hoi An old town, according to Quang Nam Province People’s Committee Deputy Chairman Nguyen Chinh. Quang Nam in the central coastal region is home to 350 heritage sites and a wide range of intangible cultural values. The Hoi An old town and the My Son temple area have been recognized by UNESCO as world cultural heritage sites. The province also boasts a perse range of cultures thanks to the historical relationships between the Cham ethnic group, India, Japan and several western countries. This cultural basis is important for the province to develop sustainable tourism and contribute to socioeconomic development. 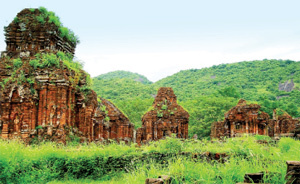 However, cultural heritage sites in Quang Nam in particular are facing challenges and risks of destruction, largely due to their age and other human factors. Aware of this, since 1997 Quang Nam has strengthened international cooperation in cultural heritage preservation. Nguyen Chinh said that the province has received significant support from the state and international organizations for Hoi An, My Son and the Cu Lao Cham biosphere reserve. Countries such as Japan, Italy, Denmark, Luxembourg, the US, the Netherlands, Canada and Germany have played a role in supporting these areas. According to the Quang Nam Province People’s Committee, from 1997-2014, Hoi An and My Son had received about VND79.5 billion worth of international assistance for heritage preservation. My Son in particular has received about VND75 billion in grants from UNESCO, the Japan International Cooperation Agency (JICA), Italy’s Lerici Foundation and US-owned America Express. Hoi An has received almost VND4 billion worth of assistance of many international organizations including JICA and the Canadian Embassy in Vietnam. Quang Nam continued receiving support via sustainable tourism development projects from 2009-2014 with a basis on local cultural exploitation for rural and mountainous livelihood improvement. 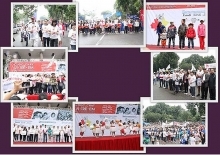 The support was provided via building strategies, developing community tourism, branding and developing handicrafts. Examples are projects funded by UNESCO, ILO and FIDR such as building a strategy to combine culture and tourism for sustainable development in Quang Nam, boosting tourism in mainland districts in Quang Nam and developing tourism based on the Co Tu ethnic community. As a result, the number of visitors to the province increased 12-fold during this period, from more than 300,000 in 1999 to more than 3.68 million in 2014, said Nguyen Chinh. To continue raising funds for heritage preservation and sustainable tourism development, the Quang Nam Province People’s Committee together with the Ministry of Culture, Sport and Tourism and the UNESCO Vietnam National Committee recently launched a workshop in Hanoi to promote international cooperation in cultural preservation and tourism development via several projects including support in sea and island tourism promotion in Quang Nam, Da Nang and Thua Thien Hue, tourist assistance, and evaluating the environment in the Cu Lao Cham biosphere reserve and proposing solutions to implement the sustainable tourism development.